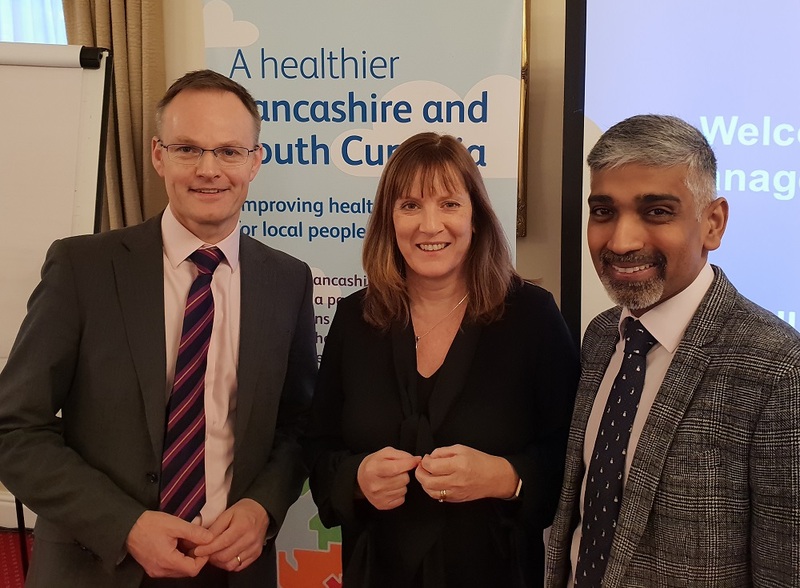 Nearly half a million pounds is going to be spent in local communities across Lancashire and South Cumbria, tackling the factors which have the greatest impact on people’s health. The £471,000 investment from NHS England will be used to design better care around our communities’ needs, a priority described in the NHS Long Term Plan. Healthier Lancashire and South Cumbria has also been selected as one of four places in the country to receive nationally and internationally recognised expertise to drive this forward. This will see work in areas including Barrow, Blackpool, Burnley, Chorley and Skelmersdale to look at how data and intelligence can be better used by GPs and community services to help people live longer, healthier lives. One example is using data to identify people who have multiple long term conditions and understanding the ways in which they can be supported to prevent complications and live independently. This approach will be developed across Lancashire and South Cumbria to make a real difference to people’s lives. Dr Sakthi Karunanithi, Senior Responsible Officer for Population Health for Healthier Lancashire and South Cumbria said: “This type of Population Health Management is more than just prevention, it’s a new way of working which will see us using our data intelligently to provide personalised care to improve the lives of the 1.7 million people who live in Lancashire and South Cumbria. Dr Kieran Murphy, Medical Director for NHS England (Lancashire and South Cumbria) added: “The NHS Long Term Plan sets out a renewed focus on prevention including action to help people live healthier lives, which will stop thousands of people developing life threatening or limiting conditions. “Addressing the specific health problems which affect different communities in our society is not just about fairness but a matter of hard-headed economics. Healthier Lancashire and South Cumbria, which is a partnership of Local Authority, NHS, public sector and communities, is one of four areas in the country to be recognised as leading the way in starting to improve outcomes, reduce inequalities and address the broad range of individual, social and economic factors affecting the health of local people. Taking a whole population approach means working collaboratively beyond the boundaries of health and care services to support people to stay healthy and avoid complications from existing illnesses. This is one of the key new ways of working outlined in the NHS Long Term Plan, published earlier this month. It will enable care to be delivered in the right place and at the right time for local people and their families.